I am in love with this book right now. This is how I felt about Cameo Renae’s other book, Hidden Wings, too. If all this author’s books are going to be like this, could they please come with a warning label? First off, can I just say that nowadays it’s getting harder and harder for me to find a dystopian read that I thoroughly enjoy. I mean, it seems like everything has been done before to the avid dystopian reader. 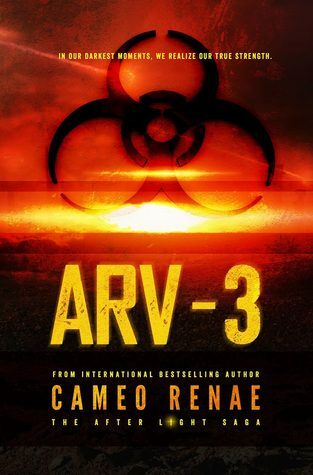 But ARV-3 was exactly what I love about dystopian books. Sure it wasn’t a particularly unique concept but it was addictive, action-packed and a little scary. I’m one of those people who were fascinated by the idea of the world ending in 2012. I didn’t believe it, but for some reason the idea of it fascinated me. So when one of the first lines of the book I read was about that I kind of mentally fangirled. That was the moment I knew I would love this book *eyes glaze over dreamily*. And on the topic of awesome first sentences, let’s just say that prologue was pretty epic too. I know what you’re saying: “Whoa, whoa hold up a second. If you love this book so much, how come you’re only giving it 3.5/5 comets. Something just doesn’t add up!”. Am I right? 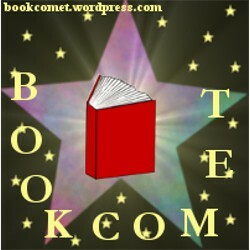 It’s because as a reviewer, I can not ignore flaws in a book, no matter how much I enjoy it. I picked up a few of what I’d call grammatical errors and found a couple of “holes” if you will. I will not specify the “holes” because I do not wish to spoil the plot for any of you willing to read it. I love the world that this is set in! It’s actually pretty scary. And those rabid Arvies were known to send a few chills down my spine. It wouldn’t be complete without the main character Abi, though. She was pretty cool. When we speak of Abi, we have to speak of Finn. Finn was great and as much as I loved both of those characters, I thought that their relationship was a bit, well, too much. It progressed really quickly. And I mean realllly quickly. Too fast. Plus it was way too cotton-candy perfect (minus the situation though). You have to realise that I think ARV-3 is pretty fantastic when I wake up early on a weekend to read it. A weekend! I was really into the story and I got up, read it, and then went back to bed. I don’t do things like that. Usually. Anyhoo, I would definitely recommend this book to readers of the dystopian genre. Honestly, it’s pretty good. Go on, read it. Looks like the start of an apocalypse! Nearly there!